To conduct range-wide species assessments and continent-scale conservation plans, PIF relies increasingly on bird monitoring data collected by citizen-scientists. Our understanding of the long-term health of birds depends largely on the thousands of birders and biologists who volunteer each year for the North American Breeding Bird Survey (BBS), Christmas Bird Count, or many other monitoring programs, or simply enter their observations into eBird. The dedication and skill of these citizen scientists reflects their love of birds and the natural world, as well as their concern for the health of habitats and the environment. The BBS, with its nearly 50 years of standardized counts, serves as the most important source of data for the PIF species assessment. To score continent-scale population trend (PT), 287 of 460 landbird species (62%) relied on BBS exclusively. 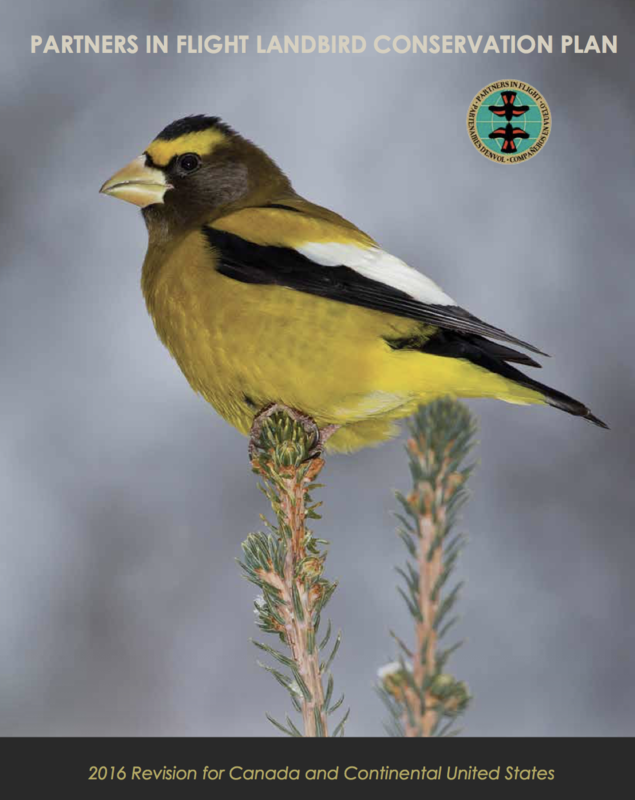 In addition, Population Size (PS) scores for 274 species were derived from BBS abundance indices, and BBS relative abundance across Bird Conservation Regions provide one of the best measures of Area Importance—or stewardship responsibility—during the breeding season. 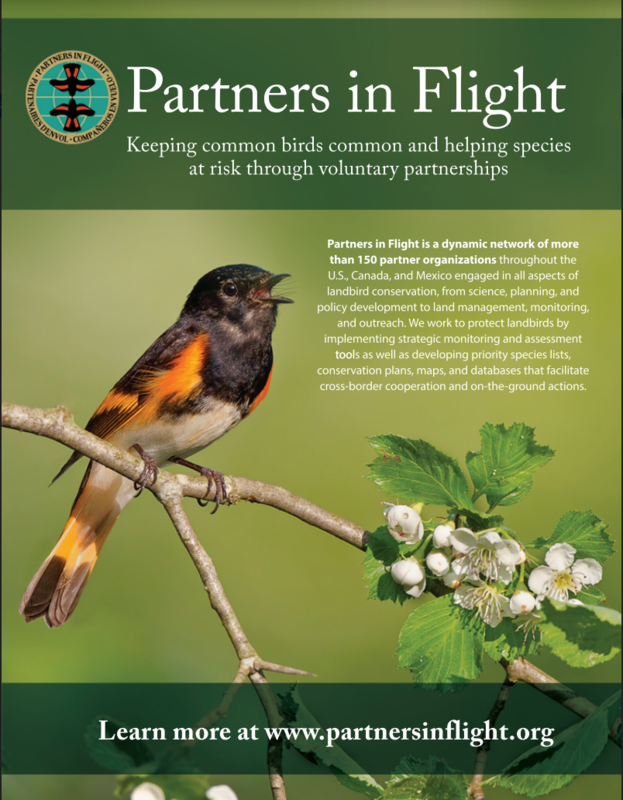 In the 2016 Landbird Plan, PIF used BBS trends to produce new metrics of conservation urgency, including “half-life”—indicating that 22 Watch List species will lose another 50% of their population in the next 40 years. Because eBird provides detailed information on year-round distribution and abundance, PIF uses eBird data to identify the most important areas for each species during migration and winter seasons. 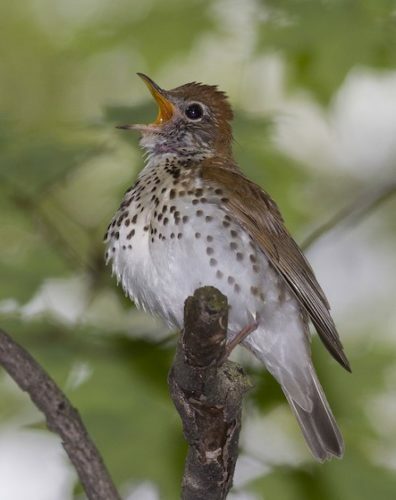 Sophisticated computer models of predicted abundance illustrate migratory pathways and connections, and allow us to derive new metrics seasonal area importance—for example indicating that Wood Thrush spends 40% of the year on it’s wintering grounds and concentrates in an area twenty-four times smaller than on the breeding grounds (see 2016 Landbird Conservation Plan, p. 21). The Avian Knowledge Network (AKN) was created by PIF and other partners as a means of bringing together a wide array of bird monitoring datasets under a unified, distributed architecture to permanently archive and safeguard these vital data, and make them widely and freely available to the scientific and conservation community. The AKN functions through a series of Regional AKN Nodes that provide map-based summaries and other Tools for synthesizing data for conservation planning and decision-making.